Looking to freshen up your salon this year? After all, we all know how good a fresh new ‘do feels. But this time, you want to change things up. You want to tap into the pink hair, bob, and textured crop (a la Thor) of marketing: the strategies that will make your salon buzz. With the sheer number of salons out there, it’s important to differentiate yourself from the rest. That’s exactly why this blog post will take a look at 20 refreshing spa marketing ideas that will change the face of your salon this year. TIP: Use a spa management software to help your salon execute these marketing strategies. When it comes to online spa and salon advertising, there are a lot of options out there, from Google Adwords to Facebook Ads. What you may be less familiar with is retargeting ads (also called remarketing). The problem with classic display advertising is that you can’t control who sees your ads. That’s why retargeting ads are so smart. Retargeting ads show banner ads to those who have visited your site before. Have you ever visited a website and noticed the brand's ads pop up elsewhere as you browse around the web? That’s retargeting. Indeed, 3 out of 5 people notice retargeting ads. The reason why retargeting ads are such a smart strategy is because only 2 percent of people who visit a website end up converting the first visit. Retargeting ads bring the 98 percent back to your website by reminding potential clients about your business. Here is what is particularly powerful about retargeting ads: You can customize them based on the specific pages visitors looked at. If Cindy looked at your manicure product page, you could offer her 10 percent off of her next manicure. That’s the power of retargeting ads. If you aren’t already using scheduling software to automate your scheduling process at your salon, it’s time to consider doing so. First and foremost, online appointment scheduling software gives your clients the ability to make appointments online. Unsurprisingly, 75 percent of people want options for self-service. Scheduling software also reduces no-shows and sends out rebooking reminders to clients who are due for another appointment. Both keep your chairs full. Of course, there are a lot of different options when it comes to scheduling software, but one key thing to look for is scheduling software that offers marketing features. Examples include an online marketplace, Reserve with Google, and personalized birthday emails. An online marketplace, for instance, will connect you to a pool of potential clients who are looking for services like yours. Reserve with Google adds a, "Book Now," button to your Google My Business listing – the equivalent of putting your business on Expedia, but with Google’s audience. Remember that not all scheduling software out there are partnered with Google to offer Reserve with Google, meaning your salon gets a competitive edge over businesses that aren’t using scheduling software in gaining new clients and marketing your business. Memberships are the more exclusive version of loyalty cards, and loyal customers are some of your best customers because they are much more profitable. You don’t have to be a gym to offer a membership. If you offer any type of recurring service, whether that’s cuts or colors, you can also offer a membership for these services and tap into the powerful psychological phenomena of exclusivity. Memberships are so powerful because exclusivity creates a sense of belonging – a need we all have. By creating a membership, you allow your clients to feel part of an elite group. This means that clients will pay upfront for services and come back, as they already paid for your service. You also create more customer loyalty by making your clients feel like they are a part of a special group. Just think about all of the buzz that secret menu items get. You feel like you’re part of a secret club. TIP: Use a membership software to help your salon or spa execute these marketing strategies. The idea behind a selfie station is that it’s a great way to generate free salon marketing for your business. People love to share where they are and what they’re doing. So, by setting up a fun selfie station (and an accompanying hashtag), you encourage your clients to take a photo of themselves to share on social media. Not only does a selfie station generate free marketing, it also acts as word-of-mouth marketing, which is one of the most powerful forms of marketing you can tap into. You can even incentivize your clients to share the photo on social media by offering them some sort of deal or freebie by doing so. In the past decade or so, businesses have been focusing on their digital presence, like websites and growing their social media pages. While this is certainly a critical aspect of your spa marketing strategy, focusing on engaging with your own local community is a refreshing and effective marketing strategy that can build brand awareness. When it comes to engaging with the community, the options are endless. You can set up a booth at a local festival or event (bridal shows are a great option), visit retirement homes, host an event for charity, or even host an exclusive VIP event. You can generate a lot of business by partnering with companies that can refer your particular service. For salons, the options are endless. You can partner with make-up artists, wedding vendors, photographers, and even bed-and-breakfasts or hotels. This creates a mutually beneficial referral program and more clientele for your business. You can also partner with these businesses to offer exclusive promotions. Packages – selling services in bulk – are a great way to use your current customer base to sell a higher volume of services. Packages are effective for a couple of reasons. First, they leverage your current base of customers. It’s much easier to sell to your current customers than a new customer. Second, packages are perceived a lot more valuable than single services. Research found that Nintendo sold 100,000 more units when it packaged its console and games together than when it sold these two products alone. There are many benefits of selling packages at your salon. They allow you to sell a greater volume of services, encourage customers to come back more regularly, and introduce customers to services they may have not tried before. For every $1 you spend on email marketing, you can expect a return of $38. 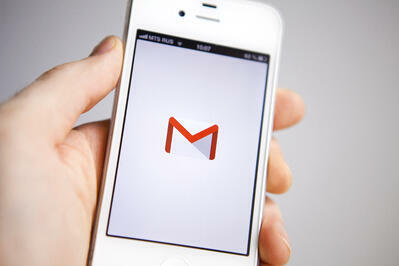 Over 60 percent of customers actually want to receive emails from companies they love. Whether you are offering them exclusive deals and specials, updates about events and new products, or sending them links to your most recent blog post, email is one of the most effective ways to communicate with your clients. You can take advantage of the best email marketing software to help your spa execute your campaigns. Platforms like Facebook and Instagram are nothing new, but with so many new features being added to them all the time (i.e. IGTV), it’s important to freshen up your social media pages to establish yourself as a hip, trendy salon. Instagram Polls, for instance, is a great way to gather feedback about your salon. Instagram Stories is a great way to do Q&As or show behind-the-scenes looks at your salon, making your salon more human and, ultimately, more relatable. Stay on top of trendy hashtags and use them in your posts. Hair tutorials, styling advice, hair transformations, inspirational quotes, and holiday-themed manicures are other popular post ideas. Post exclusive deals and promotions that are specifically for followers on that particular platform, whether that’s Facebook, Instagram, and so on. Research shows that today’s customers are choosing companies that are socially responsible. That’s why it’s critical to become part of the conversation on important issues. Whether it’s organic products, animal cruelty, or eco-friendly products, it’s beneficial to establish your salon's socially conscious values and voice through blogs, email campaigns, videos, or even offline. Pinterest is not a new platform, but it often gets overlooked in favor of social media giants like Facebook and Instagram. However, Pinterest boasts serious numbers (it’s the third most popular social media network among U.S. adults) and is particularly suited toward beauty, making it a great platform for salons. Pinterest is filled with content on hairstyles, DIY hair treatments, and just about every type of beauty-related thing you can think of. Simply put, Pinterest for business is a solid strategy for driving traffic back to your website. Referred customers are more loyal and profitable than the average customer. In fact, they are 18 percent less likely to churn, and their lifetime value is 16 percent higher than other customers. This comes straight from research conducted by the Wharton School of Business. This is why one of the smartest spa marketing strategies out there is a refer-a-friend program, wherein you incentive your current customers to recommend your salon to friends and family. After all, who do people trust more than their friends and family? On top of that, referred customers are valuable because they are likely to be very interested in your particular services or products. Giveaways are an effective way to add to your email list and create social media engagement. By offering a giveaway for a relevant service or product at your spa, you generate a list of targeted customers who are specifically interested in your products and services. From there, you can reach out to them with other relevant offers through email campaigns or targeted ads long after the giveaway itself ends. Gift cards are not something you see a lot of salons making use of, making it another refreshing spa marketing idea. Gift cards are similar to referrals for your business – which is a powerful thing. Remember: Referred customers are 4.5 cents more profitable on a daily basis than customers who weren’t. Another benefit of gift cards? Either the gift card goes unredeemed or the customer is likely to spend more than the actual gift card amount. Either way, that’s a win for your salon. A great way to increase social media engagement is to partner with websites like Groupon to offer daily deals. The benefit is that you promote your salon to a massive audience. Of course, you can also offer your own daily deals or, “flash sales.” But make sure that you give your clients a small window of time to actually act on that deal before it expires. Are you spending enough time generating more online reviews for your business? Before you can generate customer reviews, it’s imperative that you have a Google My Business listing and have claimed your Google Knowledge Panel. This is critical for local SEO and overall hyperlocal marketing. Essentially, when people search for salons near them, your business will show up in Google search and Google Maps. Once your business is listed, it’s equally important to consistently generate reviews. 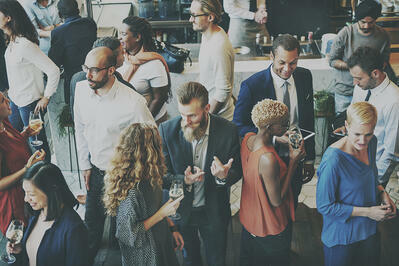 Online reviews tap in to the idea of social proof, which is one of the most valuable things that a business can have to generate more business. A study on online review statistics found that product reviews can translate into 12.5 percent more conversions than products without reviews. Phone books are the equivalent of mullets and big hair: totally out of style. Instead, your clients are searching online for local businesses, but that doesn’t mean you should stop at Google My Business. You should add your spa to as many network access point (NAP) listing sites as possible. A great example is Yelp. Just like Google My Business, these online directories put your business on the map and bring more customers through your door. There is an entire psychology around the idea of delighting or surprising clients. Offering complimentary treatments, like a 15-minute scalp massage or a deep conditioning treatment, is a great way to generate customer loyalty. Why? Because you delight your customers and give them something to rave about. You make your business stand out from the rest. On top of that, your clients will be more likely to pay for that particular service the next time they visit. While the majority of salons out there are behind schedule and looking to fit in as many clients as possible, you can make your clients’ day by offering a small, complimentary treatment that will get them talking and make them likely to pay for that service the next time they visit. Video marketing is the new wave of marketing and offers some very powerful benefits. Did you know that 73 percent of people convert after watching just one video? With YouTube reaching nearly 2 billion users every single day, it is a serious avenue to build a targeted audience that’s interested in beauty-related topics, whether that’s hair-related questions, common hair problems, and so on. Of course, if you can’t commit to producing videos on a regular basis, it’s still effective to have a single video of the experience that your clients will get when they visit your salon on your website. TIP: Read more about the power of video with these video marketing statistics from 2018. Are you recommending add-on services when your clients visit? There are two ways to go about this: suggesting an upgrade at each appointment (such as a deep oil treatment) or suggesting additional services (like a manicure) at a discounted rate on their next visit. The latter is a particularly great way to introduce clients to new services. Either way, both are effective ways to increase sales. Just like your own clients want to change their ‘do from time to time, it can be equally beneficial for your business to freshen up your salon marketing strategies. And that’s true whatever way you cut it. 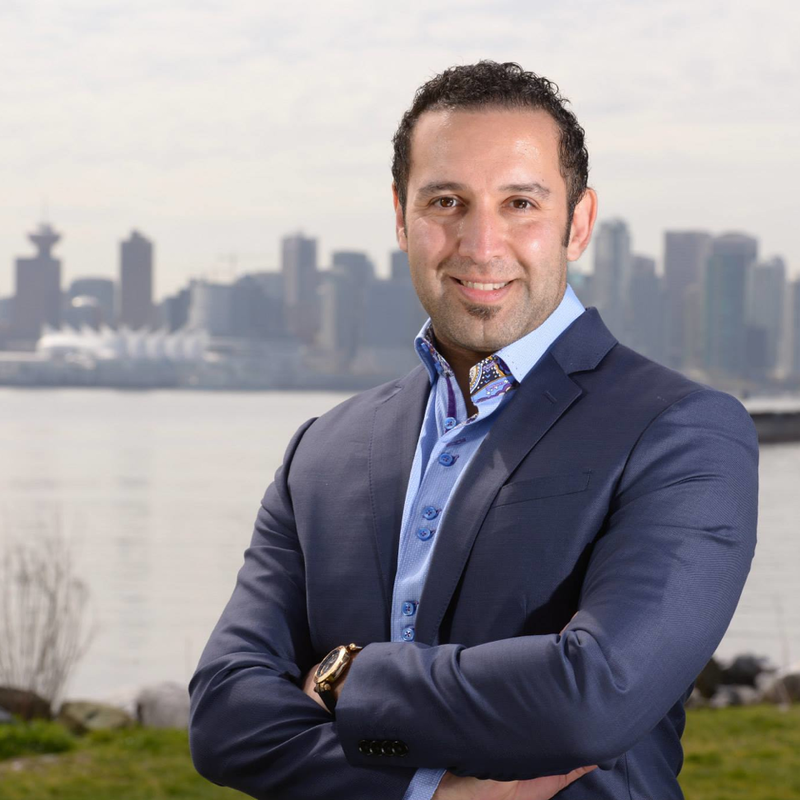 Arash Asli is at the forefront of business growth, helping SMBs grow their businesses, as CEO of Yocale, an online scheduling and marketing platform. His thought leadership has been featured in major publications, including Forbes, Huffington Post, and Inc. He is honored to have been named in the Business in Vancouver's Top Forty under 40 business executive.